ABSOLUTELY GORGEOUS! Truly one of beautiful custom built homes, BEST in QUALITY & CRAFTSMANSHIP & in most prestigious WEST DUNBAR LOCATION. Almost like new, over 4,920 sf & sits on BIG LOT 75 x 154.63 (11,597 sf). This home simply offersclassic & traditional finishing, understated elegance & feeling of luxurious comfort modern living. Grand foyer & high ceiling opening onto living & dining rms, extensive use of hardwood floor thru-out. 7 generous sized bdrms, 4.5 baths, entertaining sized open gourmet kitchen with high-end cabinetry & top of line appls. Family rm & eating area overlooking extra deep PARK-LIKE GARDEN BACKYARD. 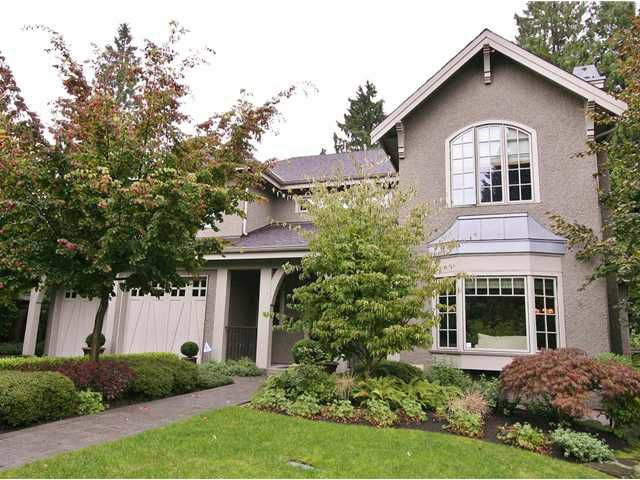 CLOSE TO CROFTON & ST. GEORGE'S PRIVATE SCHOOLS, POINT GREY HIGH SCHOOL, UBC, SHOPPING, BUS. MUST SEE!